My new Handmade London series is coming along nicely, and I've got two more portraits to share with you. The first is Ian Burgess, the founder of Climpson and Sons Coffee Roasters in London Fields. 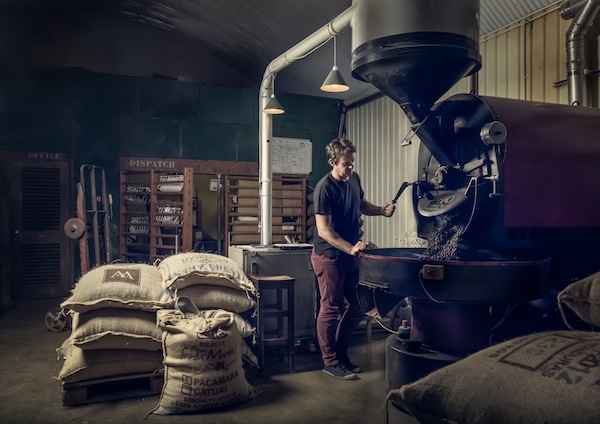 Founded in 2005, their railway arch location now roasts 2000kg of coffee every week to supply their own cafe in Broadway Market and numerous other cafes and restaurants around the city. 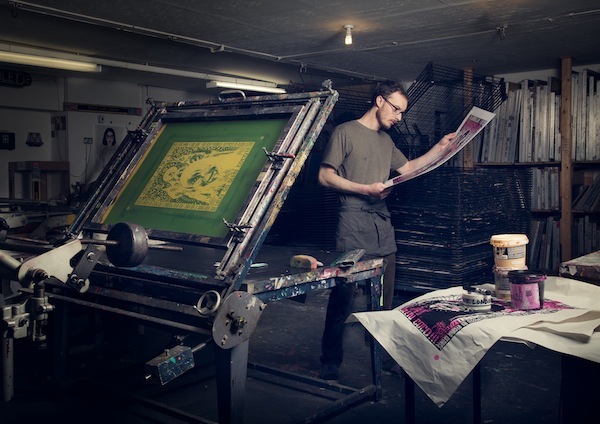 The second is of Marco, the head printer at Print Club London in Dalston. Print Club are a screen printing company creating everything from fine art posters designed by some of London's leading illustrators and artists through to bespoke projects for companies and individuals. Here Marco is printing posters for the Somerset House summer film season. You can see all the portraits in the series so far in glorious high resolution on the website here.